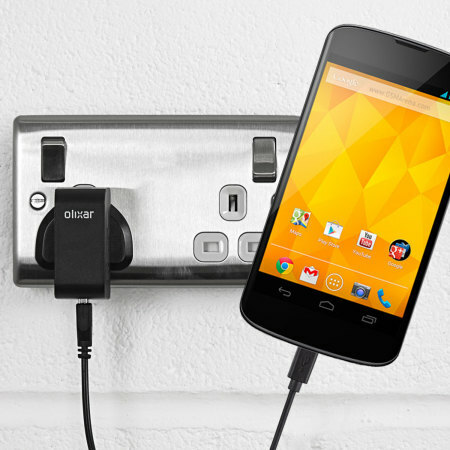 Charge your Google Nexus 4 quickly and conveniently with this compatible 2.5A high power charging kit. Featuring mains adapter and USB cable. The company was a delight to deal with and the whole process of this order was fast and extremely efficient. Over the moon with the charger and it arrived before Christmas, which I was not expecting. Very happy with product, purchase and delivery. Would recommend. The charger arrived the day after ordering and works perfectly with my Nexus 4 phone.